The limited effect of increasing educational attainment on childlessness trends in twentieth-century Europe, women born 1916–65. 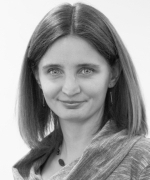 Zuzanna Brzozowska joined the Vienna University of Economics and Business (WU) in January 2019 to work on the project "Later Fertility in Europe". Before, she has been employed at the Vienna Institute of Demography, initially as a research assistant and since January 2017 as a postdoctoral researcher. She received her PhD in Economics/Demography from Warsaw School of Economics in December 2016. She holds a Master’s degree in Sociology from University of Warsaw and in Demography from the Autonomous University of Barcelona. Her research focuses in issues related to fertility and family changes, social structure, and population trends.